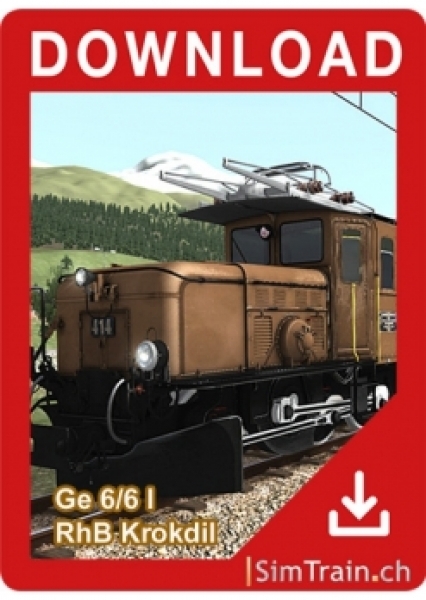 The "RhB - Crocodile" Ge 6 / 6` travels on the whole network of the Rhaetian Railway. 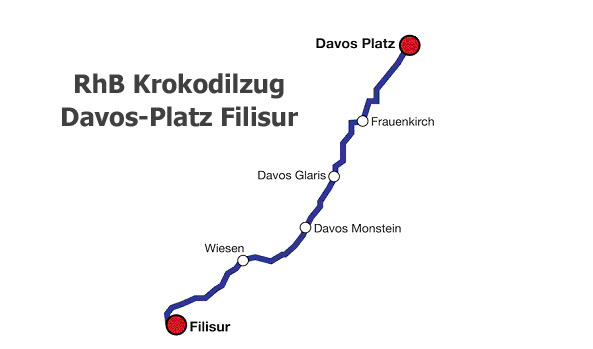 As a regular special train, however, its location is the track in Davoserland from Davos Platz to Filisur and back. 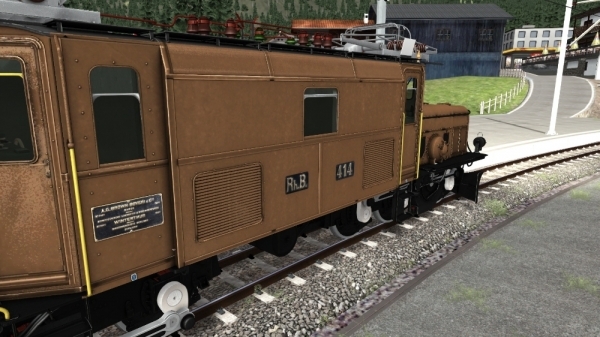 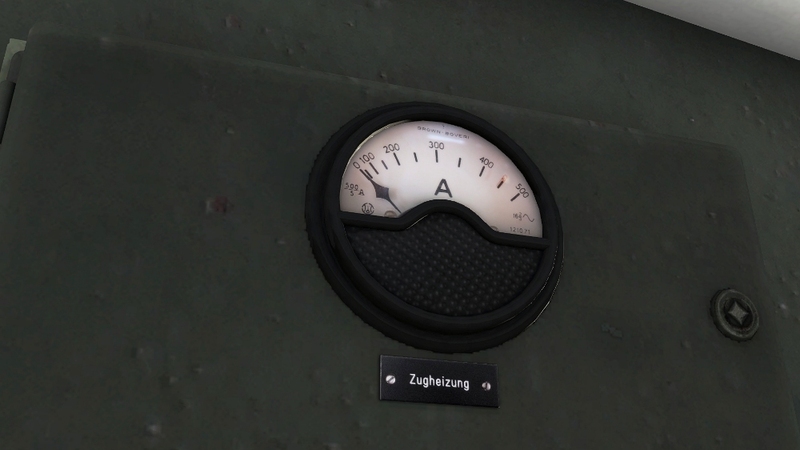 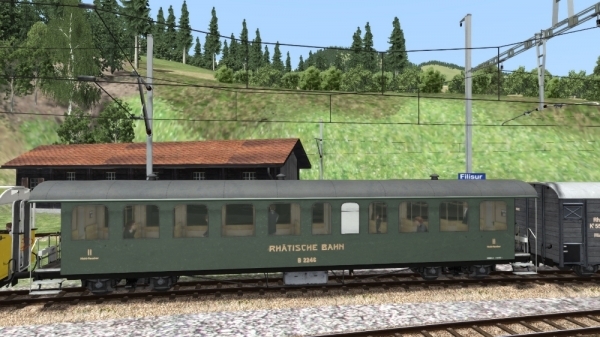 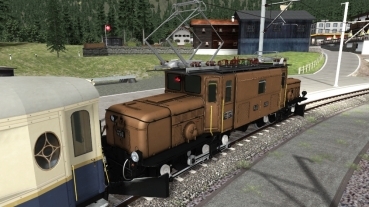 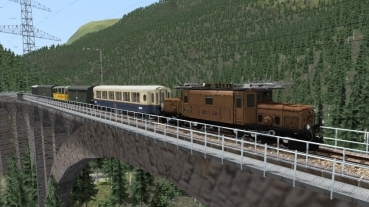 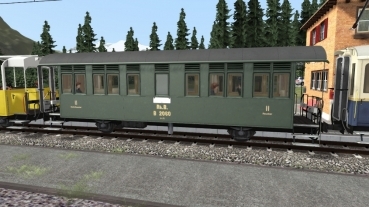 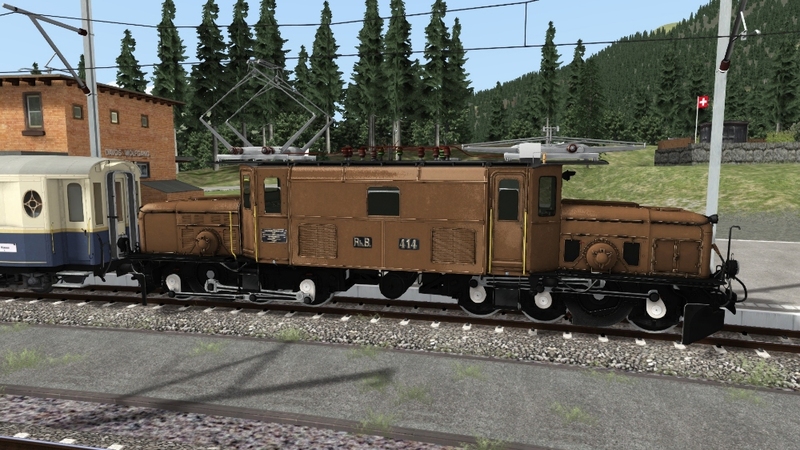 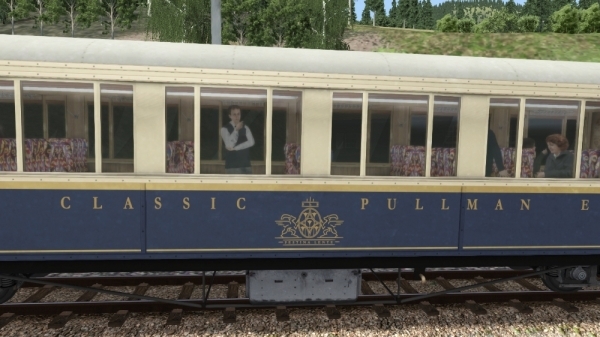 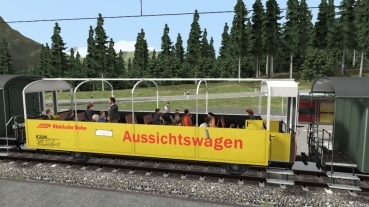 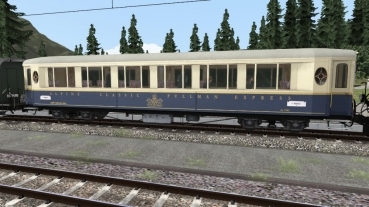 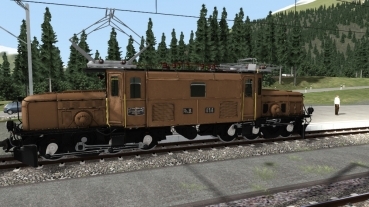 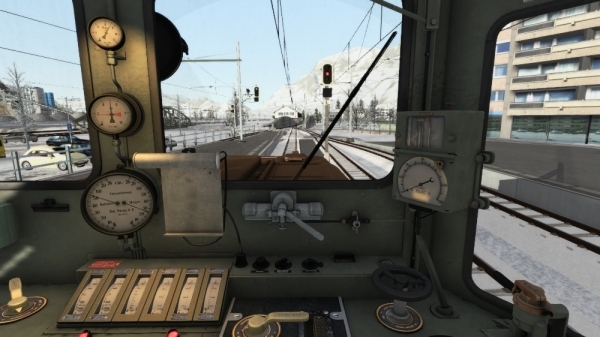 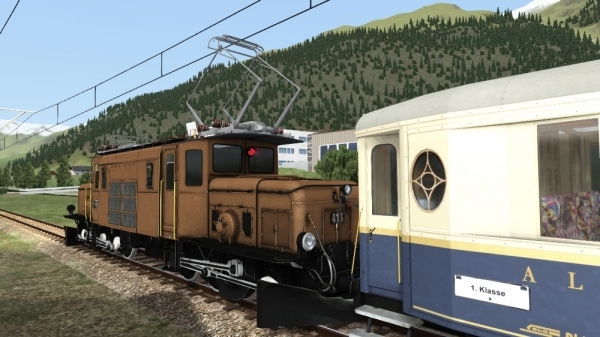 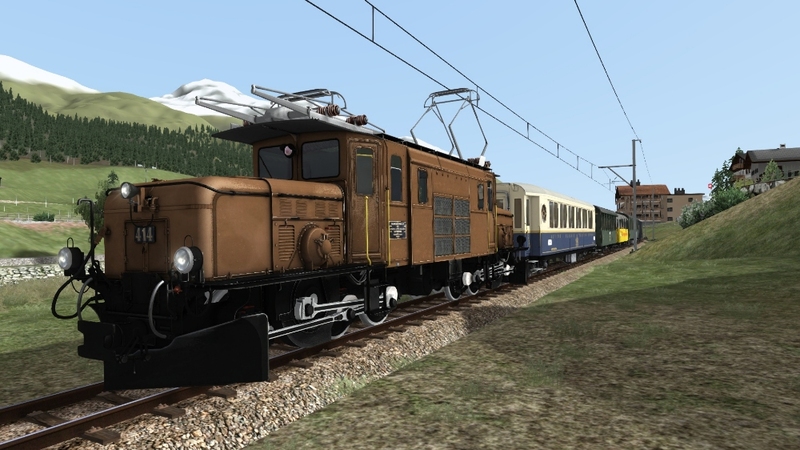 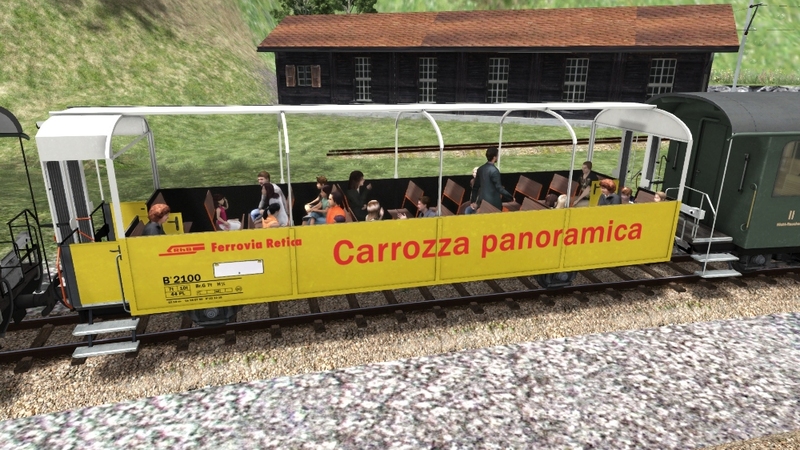 This section of the "Heidi-Express" from Simtrain.ch is also the primary location of this add-on. During the summer months, the train travels twice from Davos to Filisur and back. 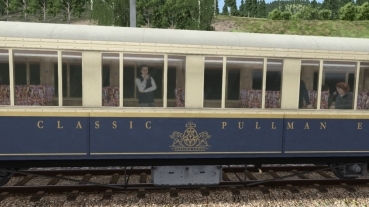 The crocodile leads a saloon car or car 1st class, as well as several cars former 2./3. 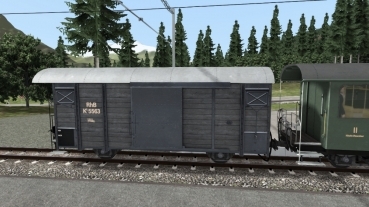 Class, the historic freight car and an observation car. The crocodile locomotive and the carriages can be used freely on all narrow gauge lines. 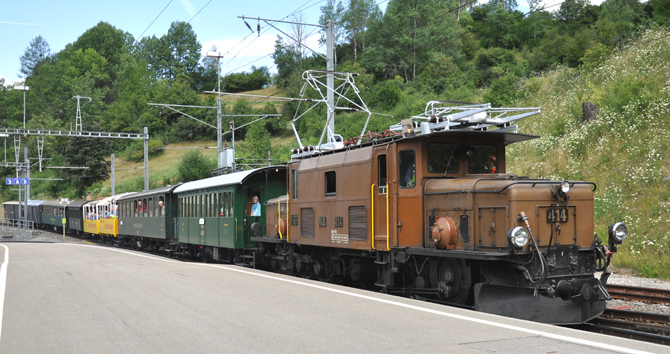 Special train therefore leads from Filisur down to Landquart. 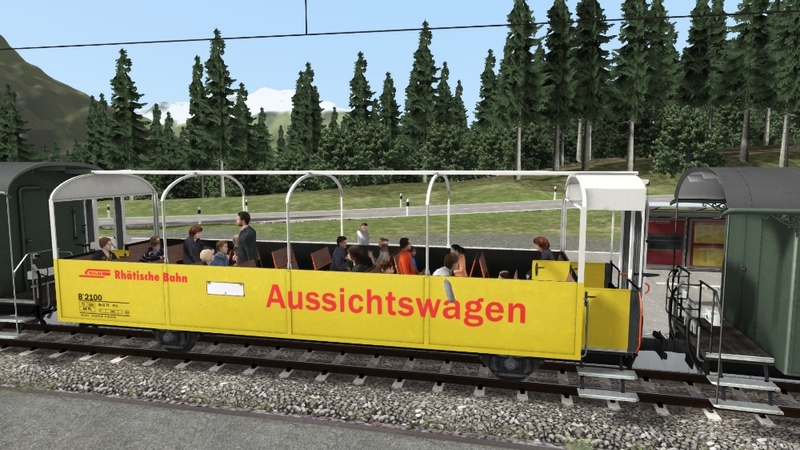 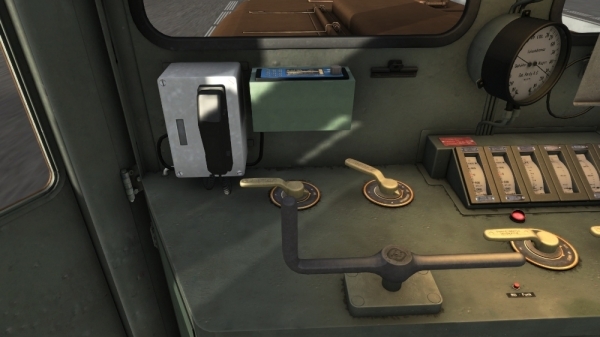 As a starting point for exploring the route, this product will give you 5 additional starting points for the Heidi Express. 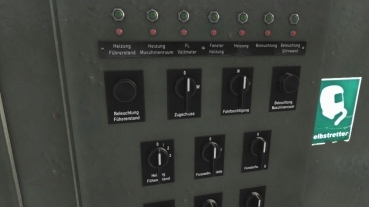 Ist sein Geld wirklich wert. Nahezu perfekte Lokomotive mit sehr schönen, nostalgischen Waggons.